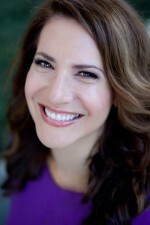 Rachel Tova Winer, Ph.D. is a licensed clinical psychologist. She holds a Bachelor’s degree in sociology from Barnard College, Columbia University and a Ph.D. in Child Clinical Psychology from St. John’s University. In 2001, Dr. Winer relocated from New York to Houston, where she completed clinical training at Baylor College of Medicine. Since 2004, she has taught intermittently at Rice University as adjunct faculty, where she was previously Assistant Director of Academic Advising. Dr. Winer has also served on faculty at Baylor College of Medicine. “My philosophy is informed by active collaboration with you, and observing your treatment goals and needs. Because people adapt throughout our lives, the difficulties we experience often result from our earlier adaptations and styles we develop to help us cope. I encourage self-awareness as the key to behavior change and creating new goals, in addition to the ability to leverage strengths against challenges. For information about services provided, click here.